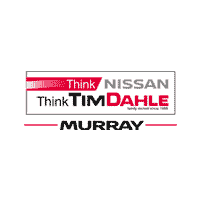 Tim Dahle Nissan Murray’s finance department invites drivers in nearby Salt Lake City, Utah that are interested in exploring auto loan options to visit our new and used dealership in Murray today. We work with motorists of all credit scores, so get in touch with our team even if you hold a rating lenders consider to be sub-prime. Drop by with your proof of income, residency, insurance and your driver’s license, as well as your trade-in loan and title if you’re interested in upgrading. Our Nissan dealership near West Valley City, UT looks forward to providing for your loan needs! We’re proud to be your local Nissan dealer, and as such, we work to keep the credit application process a smooth, enjoyable one. Utah drivers can use our interactive website to apply for a Nissan auto loan from the privacy of their home right now. With so many new and pre-owned models in stock to browse, there’s sure to be a ride you’ll want to finance here at Tim Dahle Nissan Murray! Let our auto finance center introduce you to the loan packages that complement your budget requirements today.